Women city series in BLACK CELESTIAL are perfect for those days when you just want to enjoy some freedom, comfort, and ride in style.Men city series in Black are perfect for those days when you just want to enjoy some freedom, comfort, and ride in style. 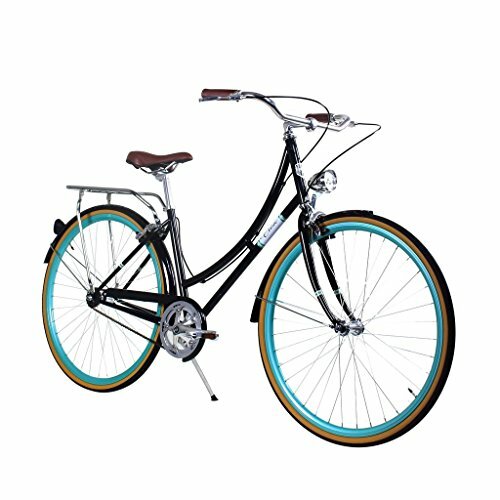 Our new Ladies town series in BLACK CELESTIAL are ideal for the ones days while you simply wish to experience a few freedom, comfort, and ride in taste. Its smooth colours and blank lines take it back to a more practical time. With this good looks, all you wish to have is a while, a few legs, and a few sun, and the Civic will get you where you are going very quickly. With a sprung saddle, step-thru frame, upright geometry, and swept-back bars, these bikes are made for comfy revelry, as a result of it is more straightforward to experience your town while you are feeling just right doing it. Ladies town series in BLACK CELESTIAL are ideal for the ones days while you simply wish to experience a few freedom, comfort, and ride in taste.Men town series in Black are ideal for the ones days while you simply wish to experience a few freedom, comfort, and ride in taste.